My Search for a Home: My Quest for a Condo: First Trade Made! April 17th 2012 - Earlier today I made the first trade in My Quest for a Condo. In case you're not familiar with this what I am doing is starting with something small and then trading up for something bigger... and bigger and bigger... Until I eventually own a condo! That is the final goal. A condo here in Toronto. I started with a Hot Wheels 2008 Dodge Challenger. Approx. value $2. My very first trade has netted me a Mastercraft Digital Multimeter Kit, which according to my research would cost you $49.99 + 13% HST if you purchased it brand new from Canadian Tire. This one is brand new. Never even been used. 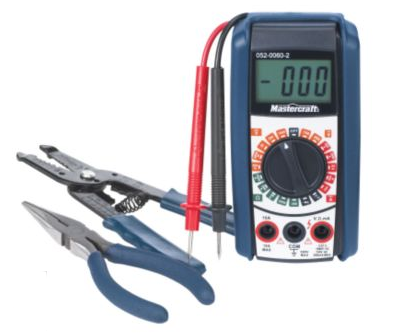 Multimeter kits are used for measuring electrical currents in buildings and electronics. Handy for anyone who is an electrician, engineer, a nerd or just likes having handy tools in their home. 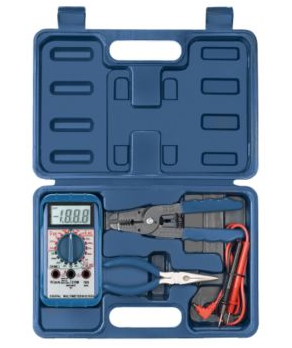 This particular digital multimeter also comes with a wirecutter/wirestripper, a needle nose plier, cables and a case for carrying them all in. Very handy. 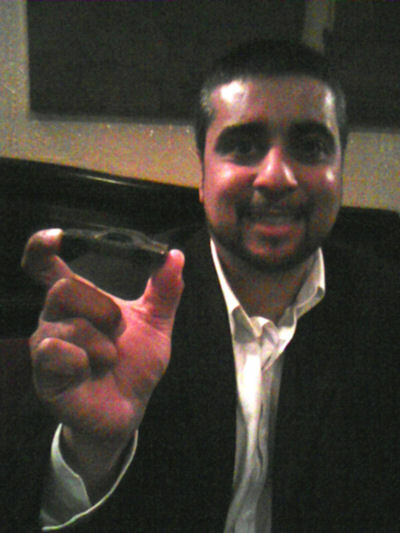 I got it from Ryan Anderson, a real estate agent from Brampton who specializes in investment properties. Thank you Ryan for making my first trade a great success. So now I have something much bigger for trade. So if anyone out there has something they don't need any more and they need a Digital Multimeter Kit let me know. As trades go this is a pretty big one. I wasn't expecting to get into the $50 range so soon. If I continue to double my trade value it shouldn't take too many trades until I reach the $260,000 mark... which is enough to get a condo here in Toronto. It took me forever to get this photo off my cellphone. My apologies for the grainy quality of it (bad lighting). The photo is of Ryan Anderson with his new Hot Wheels Dodge Challenger.